Light dish, easy and quick to make. 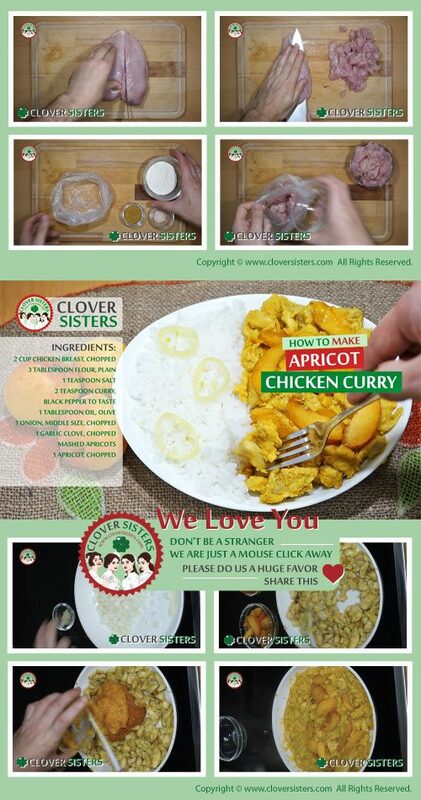 Add apricots into your chicken curry to make them special. 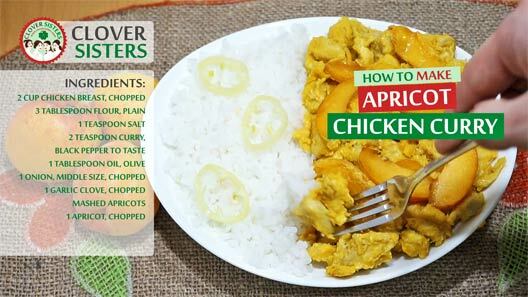 Chicken and apricots with a hint of curry, the whole family will just love it. Mix the flour, salt and one teaspoon of curry in a plastic bag, add the chicken into and move around to cover chicken with flour mix. Warm oil in a pan, add the onion and garlic and let it simmer shortly, then add other teaspoon of curry and chicken. Stir to cook chicken from all sides and then add the apricot juice or mashed apricots. Let it simmer until start thicken, which should take few minutes. Add the chopped apricots and stir few minutes more. Serve with pasta, rise or just some lettuce or anything else you like.